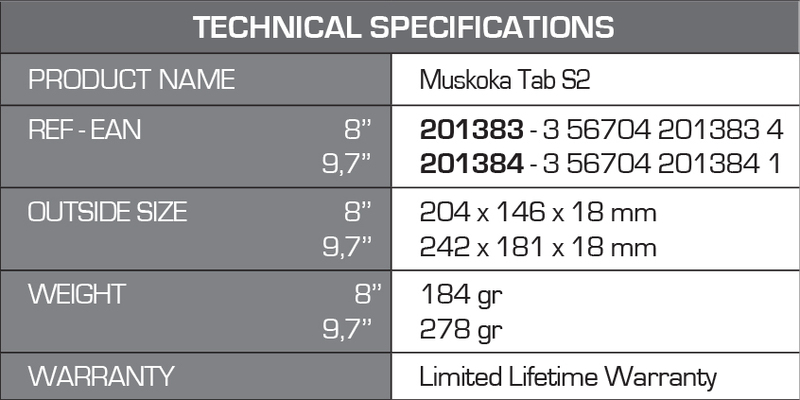 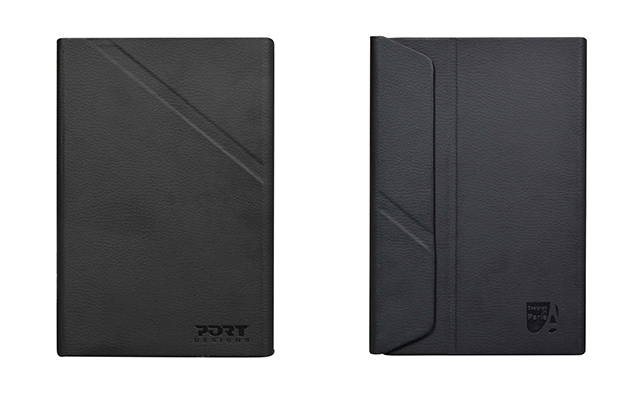 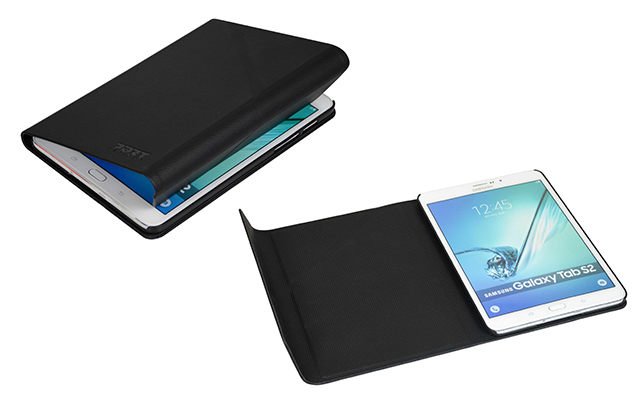 The MUSKOKA TAB S2 9.7 '' is a protective case for your Samsung TAB S2 9.7 '' tablet. 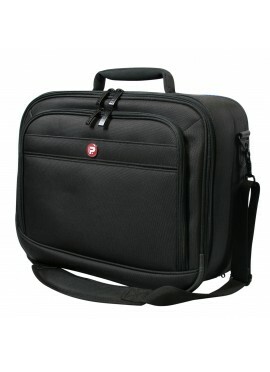 This case contains a protective shell molded in ABS. 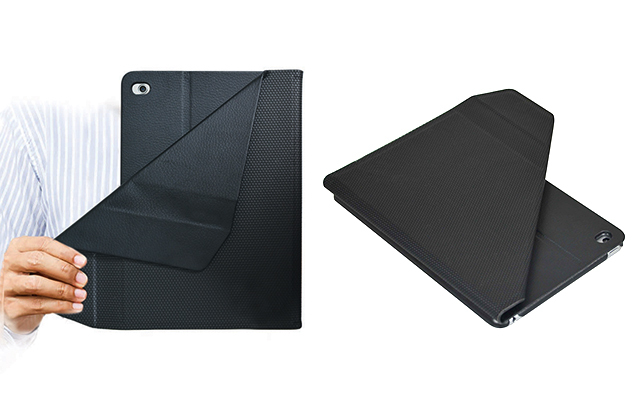 The flap of the folio is foldable, which allows full access to the camera and optimal photo shooting. 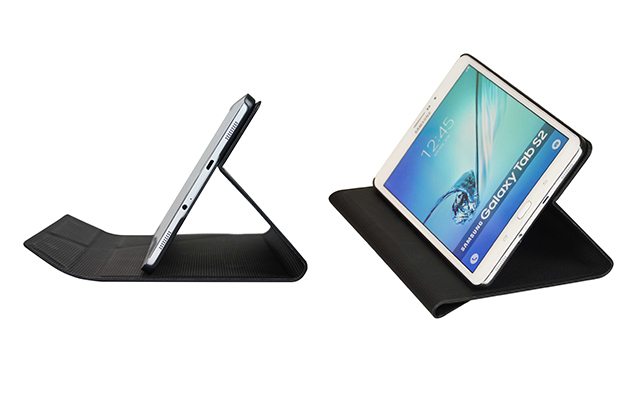 The construction of the case allows full access to the connectivity and buttons of the TAB S2 9.7 ''.